VIC JUNGLE is the winner of the Ghetto Rockin Photo Contest for the month of September: Vic Jungle not only followed all the contest rules but she got her friends to vote for her and has been crowned WINNER by Divinity Roxx and the iRoxx team of the Ghetto Rockin Photo Contest for the month of September. She will receive an iPod Nano with The Roxx Boxx Experience pre-loaded on it. CONGRATS GIRL! YOU ROXX! Click the pic above to enter the contest. There’s still time to qualify for the bass guitar! The more votes your photo receives the more chances you have to win! WE WILL GIVE AWAY THE BASS GUITAR ONCE THE ALBUM DROPS! GET IN NOW! I’m sitting in my hotel room in Osaka, Japan, one of my favorite places in the world, resting a bit as we bust out a month of shows with 2NE1. We played 3 in a row upon arriving and I’m enjoying a little down time. Yesterday we went to Kyoto and visited a couple of Temples, so today I’m just relaxing, thinking about my ROXXTARS (that’s YOU) and all the things we have planned in the coming months. I’m excited. There’s so much happening! I’m sending my record, The Roxx Boxx Exerience, off to be mastered, planning another European tour (so if you missed the ‘Get Here’ tour in March, you can come and ‘Ghetto Rock’ with us in October). Dates and locations of the Euro Tour will be announced as we confirm them. We will definitely be hitting up a couple of the spots we hit in Belgium, and this time we’re planning on hitting Holland as well. Keeping my fingers crossed about the UK and France. We have some contest winners who qualified to win that Warwick Bass Guitar I’m still giving away, and DJ Booth is helping us to launch the ‘Ghetto Rock’ single featuring Killa Mike. I’m still working on the 2NE1 gig and I have to say we’ve been getting great reviews of the live show and the 2NE1 fans are really digging the arrangements I put together for this tour. I love working with them and hope that we can work together in the future. We’re slated to be in Japan for the entire month of September so catch us online, or better yet, come and see us for yourself, LIVE!! We’re extremely busy at iRoxx Entertainment and I want to personally thank each and every one of you for helping us gain momentum to release the EP. Every tweet, re-tweet, like, share, post, and comment help us gain a solid place in this world to share our vision, message and music. I appreciate the love, support and the clicks. 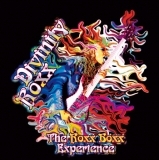 Mastering The Roxx Boxx Experience: Be on the look out for The Roxx Boxx Experience set for October Eric Racy of Full Clip Audio really put his foot in the mixes so I’m really excited to share this body of work with you! I really hope you appreciate it as much as I have appreciated making it! DJBOOTH.COM posted the Ghetto Rock track feat Killa Mike on their site for review! Please click the picture to go to the site and RATE the track! PLEASE BE SURE TO RATE IT! If you dig it, give it a few stars! We need your help on this one ROXXTARS! The more listens, ratings and comments we get the better! Again, thanx for the LOVE! Let’s Do It Again! The European Club tour in March was such a success, let’s ‘run it back’! I just talked to my main man Babl and we decided we should come back to Belgium and possibly Holland, France and Germany for another European Club tour to celebrate the release of ‘The Roxx Boxx Experience’. Be on the lookout for tour dates to be posted soon! You know how much I love my Euro Roxxtars! 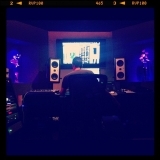 Copyright © 2012 iRoxx Ent, All rights reserved.